Fringed by some truly spectacular crystal clean water and gorgeous pebbled and sandy beaches, Croatia has long enjoyed a reputation as an excellent destination for travellers who’re watersports fanatics. Not only does it have some excellent coastlines and unforgettable dive spots, but the Adriatic Sea is home to more than a thousand islands, perfect for finding your own unique spot of heaven. So if you’re planning a trip to Croatia, where do you start? Watersports fans who like to dip their toe into everything are brilliantly served by Nautic Centre Bol. Offering access to a truly impressive list of adventures, from speed boating to parasailing and banana’ing off the lovely Golden cape beaches of Bol and the island of Brac. 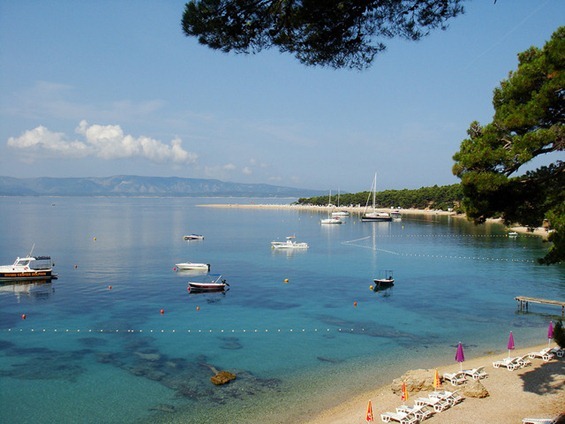 Bol is especially well loved by windsurfers, thanks to the amazing winds generated by the sea channel between the islands of Brac and Hvar, but you’ll find pretty much every extreme watersport catered to. Be sure to take an afternoon off to experience some of the more sedate charms of these waters though, as the diving sites are second to none and reveal an under-the-sea paradise. For those who love to test themselves in the sea but who prefer to avoid tours or scheduled lessons, the raw and natural beauty of the beaches in Kamenjak are ideal. This small and rugged peninsula features some of the country’s best secluded rocky beaches and cool pebbled beaches, perfect for enjoying the crystalline waters beyond. Kamenjak is a protected nature reserve that does get busy during peak seasons, but it remains undeveloped and offers the kind of conditions that will appeal to sea-adventurers who are hoping to battle the elements the old fashioned way. If you’re looking for a family friendly but still adventurous trip, it’s well worth checking out Rovinj, one of Croatia’s most-developed and welcoming seaside resorts. In this beautiful ancient town you’ll find plenty of modern seaside attractions, such as yachting, rowing, windsurfing and water-skiing. Rovinj was a natural island that became connected to the mainland by a process of filling in during the18th century, meaning it boasts a generous helping of beautiful coastline. There are also many islands, islets and rocks ripe for exploration, ideal if you’re used to handling yourself in the water, as well as a range of activities aimed at children and novice sailors. 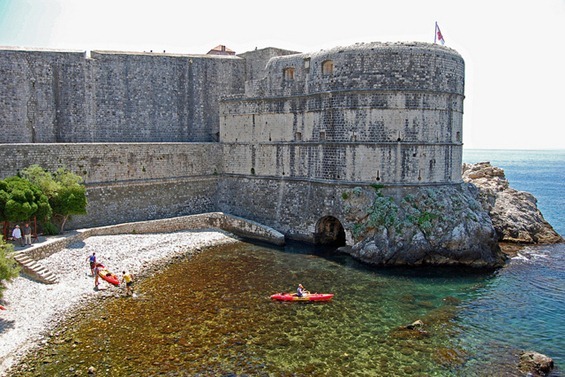 For an aquatic adventure that will also give you a chance to take in some of Croatia’s most impressive architectural achievements, plan a kayaking trip setting off from scenic Dubrovnik. Book a small group tour that will take you round the exterior of the city’s impressive medieval city walls and stop off at cave beach Betina to snorkel, dive and explore the underwater world to your heart’s content. There are also plenty of excellent snorkelling spots off Betina Beach itself and it’s a great place for beginners to test the waters. Experienced watersports enthusiasts might want to hire a speedboat for some fast paced fun. Fly to Dubrovnik for a wonderful combination of exciting city life and serene seaside spots. The aquatic possibilities are endless, so travel to Croatia and create the adventure holiday you’ve always dreamed of – whether you’re looking for a new boating challenge or you’re ready to test your nerve on a speeding jet ski.